The hands down must have item for every man's closet is a great denim set. I personally love denim because it is so damn versatile and it comes in so many cuts for any occasion. Today I am going to highlight a few of our favorites. Once upon a time we carried a denim on denim set that we could not keep in stock, we restocked it several times until the manufacturer just didn't make it anymore. We were devastated, it took several years for us to find the perfect cuts and styles. The thing that I absolutely love about these Denim outfits is that you don't always have to wear the Jean Jacket with the matching Jeans. It still looks great as separates. Denim matches with EVERYTHING ...let's argue!! 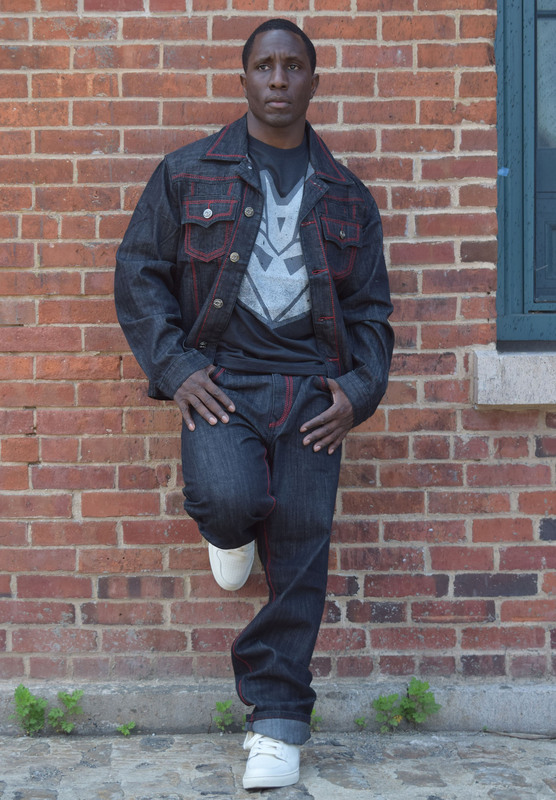 At the present moment we have 2 different Denim Outfits in stock for the fellas. First up is the classic straight leg G Gator Jean Jacket and Jeans, this cut is similar to the True Religion jean cut if you are familiar with that and it is perfect for so many occasions. I love the way it looks with a graphic tee, plain tee or even a button down shirt for a more formal look. We have this available in four color combos with a highlight in colored stitching. My favorite look for the Black Denim with Red Stitching is to pair it with some Red Cazals and the fire red Sycamore Style Wallabee boots. If you are wondering what pants to wear a jean jacket when you aren't doing denim on denim. 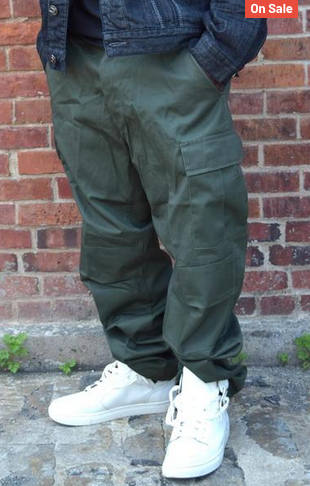 Pairing it with Military style cargo pants is always a dope casual look. Our second denim jacket outfit for men has a little more style with the Moto detailing on the knees and the jeans are a slim fit cut. These look great as a matching outfit or as separates with khakis and even sweats for a relaxed Saturday running errands.